First a government trustee was appointed to Turgut Özal University where I was lecturing. Then, my university is completely closed down with an emergency decree issued after the 15 July. All the properties of this privately-owned university are seized by the government and many of our lecturers including our president, an orthodontist by profession, have been locked in jail. One year after the coup attempt, it appeared in the news that another operation was carried out against the staff of the university and 47 more were detained. I could not even learn who these people were. The trial of one of my close friends from the university has just finished and he has been sentenced to seven years of imprisonment. He is accused of three deadly(!) crimes: 1- Working at Turgut Özal University, an international university hosting 7000 students opened during the rule of the AKPgovernment, 2- Having their children attending to schools affiliated with the Hizmet Movement where the children of Erdogan and many AKP members and bureaucrats have also studied, 3- Depositing money into Bank Asya, a bank opened by Erdogan and Abdullah Gul and operating in accordance with the Turkish laws and regulations! I cannot get any information about how many of my colleagues have been released, how many of them still in jail or how their children are coping with all of that. The university lecturers could not even take their personal items, books, private documents and lesson materials from their rooms. All of our belongings have been looted. A friend of mine with initials O.F.Y. with a gentle soul who cannot not hurt even an ant was reported to the police by his neighbour after the July 15 coup attempt, while he was trying to carry the books listed by the government as “evidence of terrorism” away from his house. It has been a year since he was put behind the bars for this. Another colleague of mine managed to escape the country by crossing through Maritsa River by the help of human traffickers. 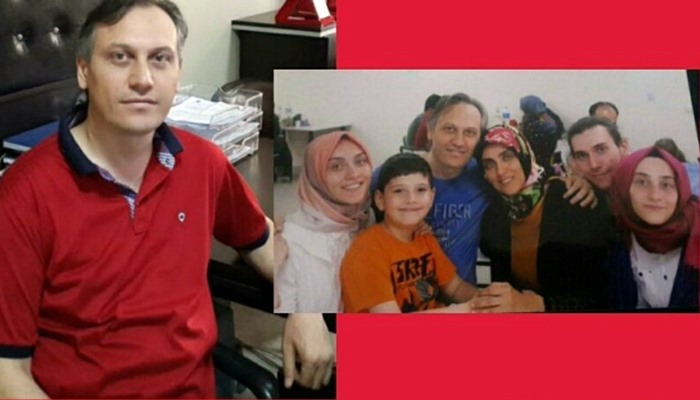 One of his children is still in Turkey, his teacher wife and two children are in Germany, while he is stuck in Greece. In fact, I thought about how I could start this article many times. I wrote it then deleted repeatedly, and I wrote it again; I have read what I wrote again and again and re-imagined what I lived in bewilderment. Every moment of what I went through is still in my memory. 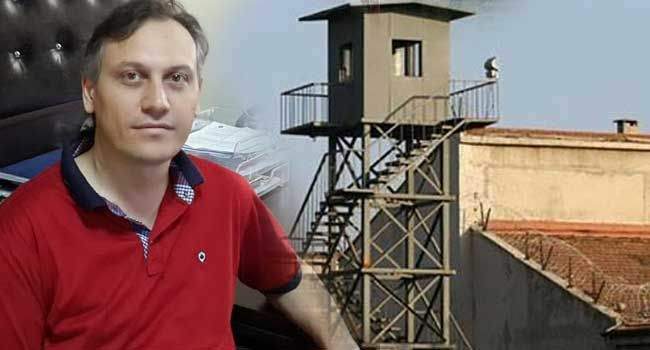 While I was working as a scholar at a state university, without any interest and relevance with the known and damned coup attempt, I was detained on charges of coup 15 days after the coup attempt. Though it is so easy to say that; the reflections of what I lived to my life prove that I will never be like the old one. My entry process into prison is gradually as follows. I was a civil servant for about 15 years. During this period I did not receive a single investigation or a single warning. There was not even the slightest inquiry about me. There was not the slightest complaint about me. I only got into my lessons and focused on my academic work. I had a very good relation with my students and I always completed my entire learning life successfully. I had also good relation with the academics. In short, there was nobody I had a problem with and there was no issue to cause a problem. Although it is not related to me in fact, I wasn’t a party to any rector candidate on the rector elections, this was interpreted negatively by some. However, I did not have any intention to create any environment or to have any authority/a higher position within the university. In any academics, the purpose of having a higher position/authority should not be anyway. Because this authority love affects the academicians’ purpose of doing science. I made annual leave 15-20 days before the coup attempt. I saw my family, attended the wedding ceremony of my relatives, and learned that a coup attempt happened overnight. I could even learn the coup attempt in the morning but not at night. It was a situation we would never see as acceptable and, fortunately, it did not reach its goal. As the heat of events had not yet been lost, the annual leave of all civil servants was canceled and I immediately returned to office. It was only 2 days since I started my duty that I was suspended from my job on having a tie with the FETÖ / PDY. No information was given me about how my association with this organization was established. According to the normal procedure, an investigation must be opened and an investigator should be appointed before a civil servant is suspended from his job. If these investigators found it necessary then the civil servant had to be suspended. The personal rights of a civil servant who has been suspended from his job remain the same and continue to receive only 2/3 of the salary during the investigation. However, 3 days after I was suspended, I was telephoned by the faculty secretariat and they asked me to vacate my room. So my personal rights began to be taken away. Slowly they were restricting our rights as if they had been calculated beforehand. I was not allowed to enter any campus of the university immediately after that. Officials dismantled our cars’ university stickers. Our relationship with the university was being usurped. On the 10th day of my suspension, while I was waiting the investigation to begin by the university, an evening my door was knocked by the police. I’ve never had a job with the police all my life, I did not even know where the judiciary was although I have been living in that city for years. 3 cops came to our house, they showed us the search and detention order. Getting into the house, they spent many hours for searching; They took my computers, my memory cards, my phones, and detained me. My computer, which is a sine qua non for an academician, went into records as an organizational document. On the same day, a total of 34 academics were detained and they held all of us in a gym. Every day, they took 10 people to the police station (Anti-Terrorism Branch) and asked some previously prepared questions. In fact, there was no question. They wanted each of us to tell about our resume. We did, and they wrote it, because we have nothing to hide. We answered our questions such as our resume, the schools we went, the supplementary schools if we had attended, the relevance of us to this organization. However, some questions were specific for each person and the question that was specific to me was like this. One day before I was suspended, a teacher (!) from the faculty had gone to the police and told them what he knew. This instructor told the police 30-40 names, in which my name was also included. I have never communicated with him even once, I have not spoken at all, I have not been in the same environment, but he tells to the police “he can be “Fetöcü” ” for me. I don’t know what kind of a statement it was, that on the same day the statement was given I was wanted to be suspended, but my suspension document was notified to me one day later. The day after we gave the police testimony, we were taken to the judiciary by the police to get to the prosecutor’s office. After sitting in front of the prosecutor’s door for about 2 hours, we were going to face the judge with a request for pending trial for 3 people and arrest of remaining 7 people. The prosecutor had demanded it, but we still did not have the slightest knowledge of what our offense was. We were taken immediately to the courtroom. We told the judge our situation and the judge listened to us quite beautifully. No lie, the judge had no reason to arrest us. I could not even make any sense of being in the courtroom anyway. It would be a lie if I say “I did not feel that he would release me” while the judge was listening to me. In court the judge listened to all of us. Even the second time we asked to speak, he gave us this right. 2 minutes break was given to make decision. After the break we entered the courtroom. It was decided by the judge that all seven were arrested for whom the prosecutor requested arrest. Maybe it was the worst day of my life. Everyone in that courtroom cried without exception. We still did not even know what we were accused of, they made us sign some papers before we even got out of the courtroom. On those papers we had signed, there were accusations of “attempt to remove the constitutional order” and “to become a member of the armed terrorist organization”. Although I have never touched a gun except for military service throughout my life, I was accused of being a member of the armed terrorist organization. I want to introduce myself first. I am the third daughter of blue collar father and housewife mother. My father lost my grandfather while doing his military service when he was three years old. Life has always been hard for my father, he struggled most when he was looking for an employment. Because he was a very hardworking person, fortunately he got lucky and found a position in a government office after he got married. My father always advised us to work hard all his life. Because his father was a martyr, he is passionate about his country. He also wished us to grow up as a good citizen who loves his country. We, his three daughters, tried our best not to disappoint him. We all got our degree from university and had a successful business life. 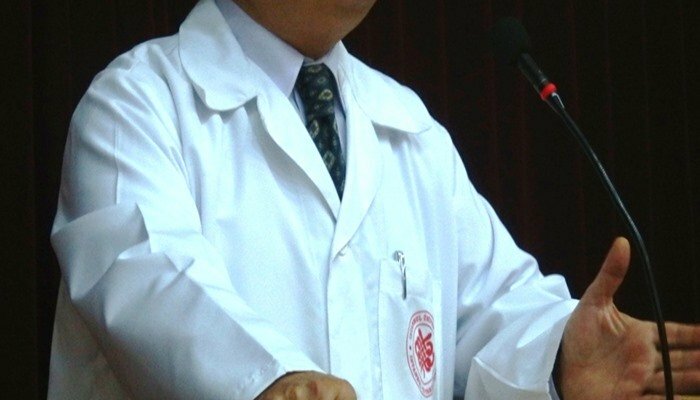 I was working as a faculty member at the university. Before the July 15 coup attempt, to be more precise, since 17-25 December 2013, there was already a huge division in society. To summarize it very briefly, Erdogan (he was the prime minister back then) was charged with corruption on December 1-25 2013. Later on, he polarized his followers by convincing them that others wanted to oust him. I know very well the institution that I work at, politics is spoken everywhere, people are being asked about their political thoughts even during a simple department board meeting. As you know, the robe, which is the symbol of independence, is worn in only three professions: judges, prosecutors and lawyers who distribute justice; religious officials who try to preach God’s justice and scholars who engaged in science. Of course, freedom and independence are important in every profession, but those who are in these three professions must be even more sensitive. However, unfortunately what we have experienced in the recent period is far from independence, on the contrary there was an extremely heavy oppressing atmosphere. I was at home with a friend when the July 1 coup attempt happened. My husband was playing computer games with my nephew at home and my daughters were playing games with my girlfriend’s daughters who came to visit me. We got the first news from my friend’s Whatsapp message and we immediately turned on the TC to watch the news. We watched the events with great concern, fear and anger. While we were expecting to have more democracy in our beloved country, listening to the news on TV saying that “supposed” democracy would be brought back by the force of arms made us extremely sad and angry. Even though most of the influential people were cautious with fear and kept silent, my husband immediately tweeted a condemnation message. However, afterwards, this coup was abused in order to increase the intensity of oppression on dissident voices and it is still being abused. So much so that, even people who have a disagreement about an irrelevant subject started accusing each other of being a member of FETO. I am not someone who is interested in politics. I can’t possibly understand the dirty relationship of politics based on self-interest, therefore I think it is a waste of time for me to preoccupy myself with politics. I personally think that if everyone does their job perfectly, things will go well in the country. As I have stated in the beginning of my letter, the best thing that I had inherited from my father is my awareness of working really hard. I have always been appreciated by my superiors throughout my working life. I can say that I am quite successful in my profession. While scholars with two or three SCI-indexed journals are considered successful, I have 15 publications in the SCI and SSCI-indexed magazines. I am a mother of two little girls. My husband is a very successful academic. He has a large number of international publications, he is the executive of two European Union project executives, he has been in administrative positions and his success has been appreciated by everyone. If you ask anyone about my husband, the first thing they would say is that he was a very hardworking person. While I was living my life as an ordinary citizen, focusing on my family and academic studies, one night I was dismissed from my duties as a suspect after the coup attempt, which I had nothing to do with. I couldn’t defend myself in any way while I was being dismissed from my position. I was only asked to answer in black and white to the 19-item questions that were given to me. The questions were mostly about whether I was affiliated with FETO, which attempted the military coup; such as, did I have a newspaper subscription for certain newspaper, did I participate in religious meetings, did I provide financial support to them, did my children go to schools that were shut down after the state of emergency, did I have an account with Bank Asya, did I use an application called Bylock. I only answered yes to two questions. First, when we were selling our home, the buyer took a loan from Bank Asya and after a good offer made by bank, we decided to invest our money in that bank in 2012- long before these events. Second, my daughter attended to schools that are closed with decree law. The only reason we chose this school was that it was the only school in our neighbourhood that provided foreign language teaching lessons with native speakers. It was only these two reasons that I was dismissed. Because of a bank and a school which operated for a long time under the permission of the state!!! Then on an August night, the police came to our house when I was with my parents. In order to detain me!!! They confiscated my husband’s laptop and mobile phone when he was working at home at that time and they told my husband that I should surrender as soon as possible. The next day, my husband came to pick me up from my parents’ house. I said my goodbyes to my parents, I cannot tell you how shocked they were and how they felt. Next day I went to the police station and was kept in custody for two days. I was then transferred to the courthouse. Thankfully, the prosecutor who listened my statement sent me to the courthouse – with the request to be released by judicial control – and I was released by judicial control. When I was over the moon for having been released by judicial control, I heard that my husband who was waiting for me at the courthouse was detained, too. My husband, whom I worked with in the place for a while, then moved to another university and we had been working in different cities for 3 years. However, my husband was taken into custody on suspicion of using the bylock application because of him social environment after some people in college where I once worked and my husband used to work 3 years ago were slanderous. Later on, as we heard from the other arrested people and the media, the person using the ByLock application was informed about the number of the device to which the application was downloaded, the IP number and even the downloading date. Although my husband refused of downloading such an application, insisted that there must have been a mistake, it was of no use. Our lawyer demanded to be given the technical information about those who had downloaded the application. We were not informed at all. My husband has been arrested for almost 8 months. We are waiting for the hearing without knowing what he was accused of. We are going through really tough times. We have experienced some losses that cannot be compensated yet we keep on living. First of all, I want to tell you about my biggest loss. According to one of the judicial checks given to me, I was not allowed to leave the city I live in. One day I was alone in the house after sending the kids to school. Someone knocked on the door, there were two officers from the judicial control department at the door. They said they were going to place an electronic ankle monitor. Believe me, this situation was as bad as my detention. I couldn’t hold myself, I started crying so badly. The officers in charge were really sad and embarrassed. They were trying to comfort me. One of them said: “At least you are with your children, there are so many women who are arrested right after giving birth, even one of them was our colleague, she was such a good person, she never hurt anyone. You should be grateful for your situation!” What kind of a torture it was to separate a baby from its mother and to separate a mother from a baby. Imagine! What kind of a torture it was to keep the men in the prisons without a trial and leaving their wives and children behind with no financial support. If you really are a member of a terrorist organization, you must take every risk and be ready for everything. However, it is a real torture to be unfairly dismissed from your position, to be kept away from your academic studies, from your family and children although you are a simple citizen. My parents came to support me when they placed an electronic ankle monitor. My father, who had a heart condition, was so sad to see me wearing an ankle monitor as if I was a murderer. He was taken to a hospital a week later they came to visit me. I lost my father within two months. This is only one of the human tragedy stories that we have experienced. There are so many sad stories that you wouldn’t believe. I believe that the journalists should report this shame of humanity and should at least fulfil their duties by trying to prevent the injustice. As for the the other troubles that I have going through, I am trying to live with my two daughters in Istanbul, where the living conditions are difficult. My husband is under arrest and we were both dismissed from our positions, so we have no income. Our families, whose financial situations is not that good, are trying to support us as much as they can. As if losing our positions is not enough, we are prevented from working somewhere else, too. Even if you attempt to find a job, people learn about your past when they ask about your insurance number and you are simply not accepted. There is already an incredible public pressure and we have been declared guilty even without being given a chance to defend ourselves. I really wonder whether those who executed us with extreme prejudice will be ashamed of what they had done when our innocence is proved. They created such a perception where people really believe that those thousands of arrested people, those hundreds of thousands of dismissed academic and civil officers actually took part in the military coup. Most of these people have nothing to do with the coup. If you ever visit the prisons, you will find simple Anatolian people who love their country. A whole mass of oppressed people who haven’t risen against the state despite all the unfairness and oppression. I don’t know when these injustices will come to an end. By looking at the state of affairs, we cannot be hopeful for anything any time soon. But above all, we believe the existence of divine justice. We will all see what will happen in the future. However, we are going through such times that will make our mark in history, this is a humanitarian plight and those who witness this but keep silent will be embarrassed in the future.